Let’s be honest, some – if not most – fans have been waiting for this release as confirmation that the true incarnation of the original Negura Bunget project is to be found here rather than elsewhere. On top of that, Dordeduh had an actual masterpiece to match to say the least. So let’s get that issue over and done with. 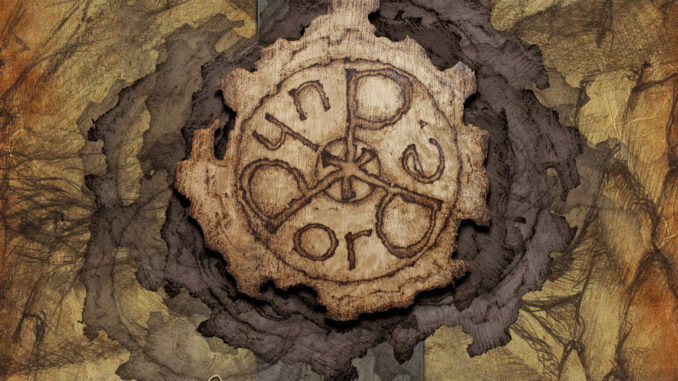 “Dar De Duh”, in spite of the lengthy time-gap from the release of “Om”, IS its undisputed, legitimate heir. Why? Majesty and beauty alone of course are not enough justification: it’s that overwhelming spirit, that mesmerizing feeling and utterly inimitable sound that makes you think: “Yes, this band takes me through the same kind of unique, amazingly powerful, passionate and mysterious path that swept me off my feet so many years ago”. Whatever Hupogrammos and Sol Faur will say in their interviews about being different people from the ones who wrote “Om” (naturally), the fan will still find him/herself immersed in a dimension that feels intensely similar to the beautiful magic of old! If this is all you needed to know, let’s rejoice together and praise the artists, who were undoubtedly involved in a painstakingly meticulous journey. “Flacarii” is the start of the adventure proper for me: the flame is ignited and the riders have left. Their quest in not yet clear (lyrics in English please?) but it matters not, as this is your own individual journey to make! The presence of ancient magic is thick in this track. Again, a spellbinding aural rollercoaster that blends golden ambrosia with venomous potions – effortlessly. It is alchemic perfection to the old BM heart, the one that beats with the noblest passion for knowledge and fulfillment. And by the time one gets to “Calea Rotilor de Foc” one feels certain that this intense human journey does hide a tremendously important secret amongst its thick yet smooth folds. Art like this has the power to give you a priceless gift: that of unearthing something precious that lay deeply buried within yourself. And the progressive stream of this splendid track, which often breaths through acoustic murmurs, is the perfect vehicle for such stirring spiritual adventures. DDD go to the roots of humanity and emerge with their spirits in flames! But don’t be fooled, as they also purposely carry the water of Life… An illuminating album, which we will have the chance to experience live from the end of September, when their EU tour with Secrets of the Moon and Bethlehem (one of the most sensational line-ups seen in recent times! )will kick off: it would be entirely foolish to miss them!